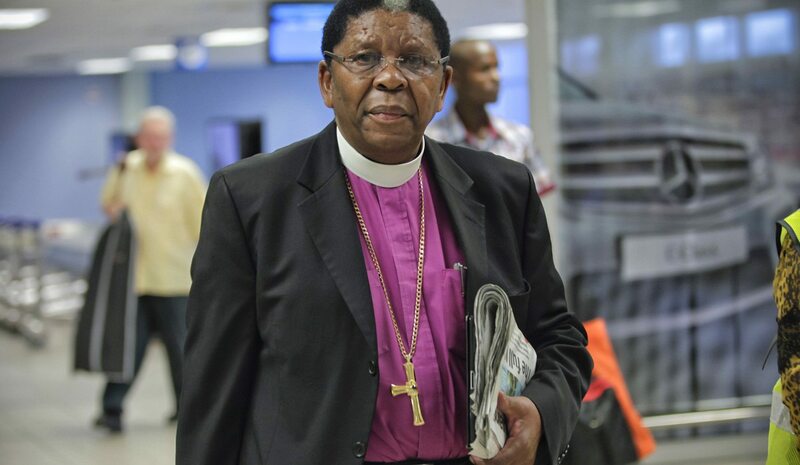 President Jacob Zuma should retire to Nkandla, the nuclear deal must be stopped and money earmarked for it must go to reducing students’ costs, Archbishop Emeritus Njongonkulu Ndungane told CTV’S BETWEEN THE LINES with JOHN MATISONN in an interview on Robben Island. The archbishop, who left Robben Island as a prisoner 50 years ago, was holding the Robben Island Dialogue to address intergenerational conflict. Archbishop Emeritus Njongonkulu Ndungane has been aware of rising desperation among South African youth for at least eight years, and tried to warn the government of the dangers and suggest solutions to prevent the overflowing of anger now evident on South African streets. As early as 2008, church colleagues concluded that the level of anger among the majority of young people was so high that Ndungane was mandated to send a report to the president to say the government was sitting on a powder keg and feared “another 1976”. The level of desperation was already high, and young people said they were let down by people in power who they had thought would improve their situation. Asked what was the government reaction, the archbishop said “nothing”. On that occasion he met then Deputy President Baleka Mbethe but was not aware of any follow-up. He was then asked by civil society organisations and about 100 NGOs to return to government. The delegation presented strategies to alleviate poverty to Cabinet ministers and then Deputy President Kgalema Motlanthe. The outcome was to include these in the National Development Plan, and nothing more materialised. The archbishop said there was “something smelling” about the government plans for a nuclear energy. It needed to be said loud and clear that “what Zuma and his administration are bent on doing is to bankrupt our country for our children and our children’s children”. He strongly disapproved of the “racism of the ANC leadership” during the recent election campaign, and the setbacks the ruling party suffered were a sign that “our democracy is working. It’s a wakeup call, a reaction to an arrogant government that is not listening”. It was time the energies of those sidelined by the leadership were constructively employed. John Matisonn is the author of GOD, SPIES AND LIES, Finding South Africa’s future through its past, and presenter of CTV’s BETWEEN THE LINES.